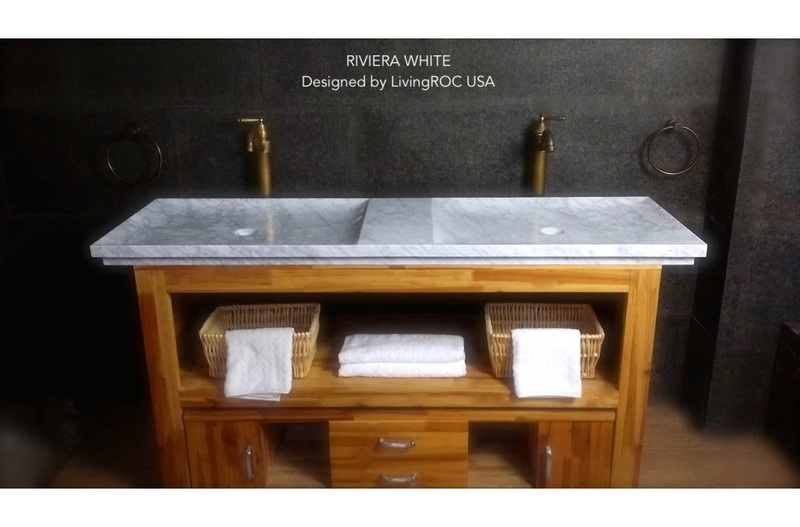 LivingRoc USA-The Blog: LIVINGROC NEW NATURAL TRENDY STONE PRODUCTS! 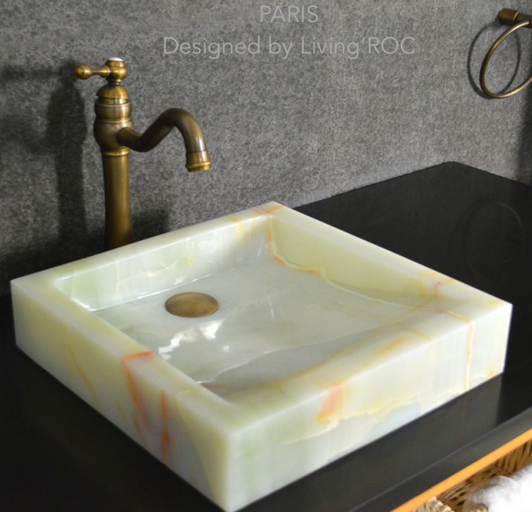 LIVINGROC NEW NATURAL TRENDY STONE PRODUCTS! We are committed to offering the finest products to our customers here at LivingRoc. So we have chosen some new products to feature to help you design the living space of your dreams. Lets start with our Double Trough Carrara white marble bathroom sink the RIVIERA WHITE. Our creation RIVIERA WHITE will beautify your space and will provide a modern, serene, and trendy atmosphere in your bathroom. Polished finishes and its very convenient slope will add practicality to beauty. Discover the well-being Zen-style give an elegant and chic look to your bathroom. 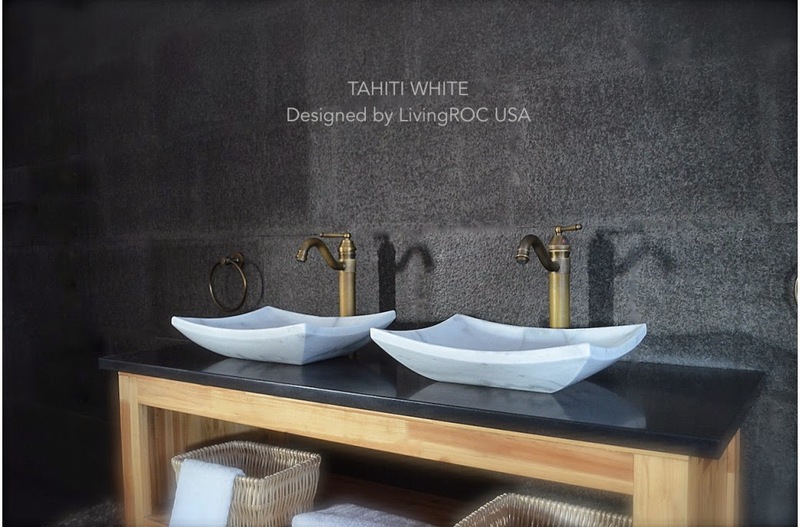 TAHITI WHITE made in a beautiful Quangxi white marble this vessel sink is a smaller sleek style of 18x13x4. This basin will delight lovers of beautiful wor, looking for rare products. Add value to your home by transforming your bathroom into an oasis of elegance, calm and tranquility. Mongolia black Basalt stone in absolute black makes the TAHITI BLACK one to admire. Sculptured edges and honed-matte finish provides classy and elegant originality. 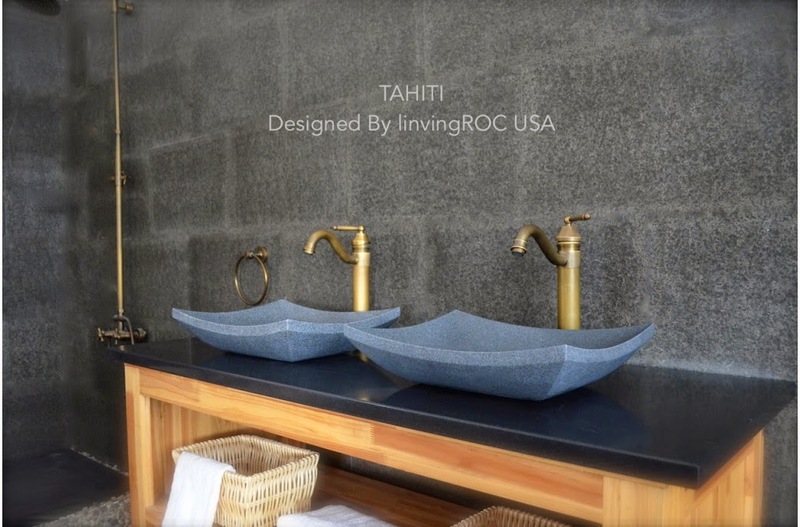 Gray Granite natural trendy stone helps make the TAHITI one that will definitely let anyone feel indifferent with this 100% natural stone unique in the US and exclusively available on LivingRoc. 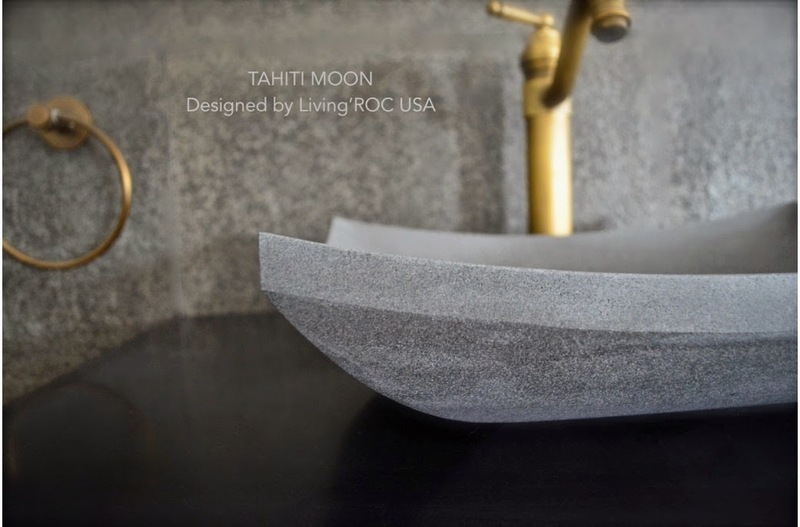 Our talented masons work shows TAHITI MOON perfect curves, its Asian-style look and the quality of handcrafted work. 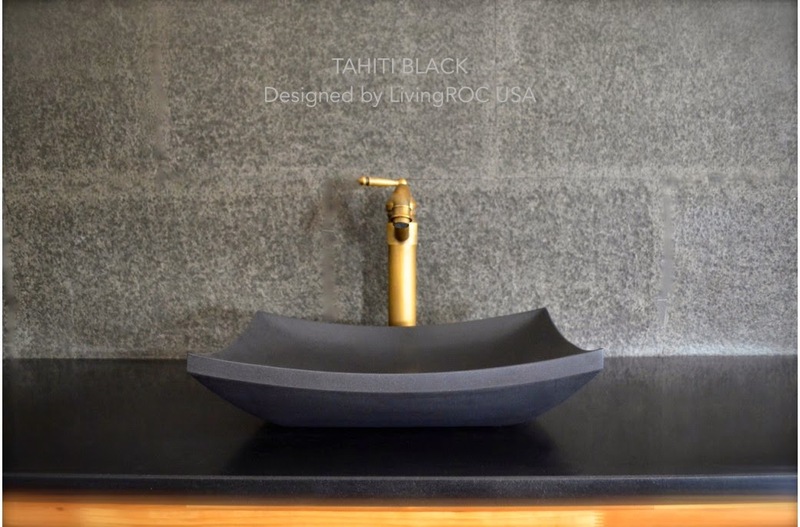 Gray Basalt (andesite) gives this stone bathroom sink will put extra into the extraordinary by using this noble material.